Parents in California had more cause for celebration this New Year’s Day as we welcomed a new regulation that keeps our kids safer. In California now, the toys and products we buy for our children cannot contain excessive levels of phthalates, no matter when or where they were manufactured. Phthalates are a group of chemicals that are used to make some plastics – especially PVC or vinyl — more pliable. They’ve been around for about 50 years or so, and they show up everywhere: wraps, bags, medical equipment, and toys. Phthalates are also very common in personal care products, sometimes used to make them more durable or waterproof, from waterproof sunscreens to makeup to shampoos to soaps, and in paints, wallpaper, mattress covers, and pesticides. I’ve been concerned about phthalates for quite some time, mainly because of their ability to act like hormones such as estrogen. 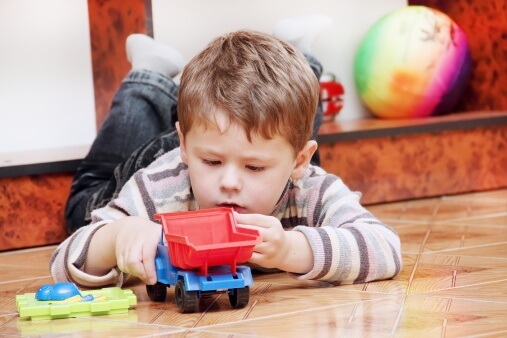 Some phthalates have been linked to problems with boys’ reproductive systems. A 2005 study suggested that exposure before birth may under-virilize boys, causing problems including undescended testicles and smaller penises. The California regulation does great things for protecting our kids, but I wish an upcoming US law did more. In February 2009, children’s’ products can no longer be manufactured with excessive phthalates, but the regulation doesn’t apply to any toys or other products already made by that date. They could be sold to unsuspecting parents for years. Luckily two of the largest toy retailers recently created new guidelines to cut kids’ exposure to phthalates in their toys. Wal-Mart and Toys R Us (and their Babies R Us stores) will require independent third-party lab testing of each batch of toys imported to the US for sale in their stores to slash kids’ risk of being exposed from their toys. I hope their actions and the trend-setting California regulations will encourage more companies and governments to go further to protect our children from this harmful toxin.